These children and those before them that have passed me by on the paddy dike are holding cassava leaves by their stalks. They would discard the leaf blades and use the leaf stalks to make kwintas (necklace). I remember doing this when I was at their age. 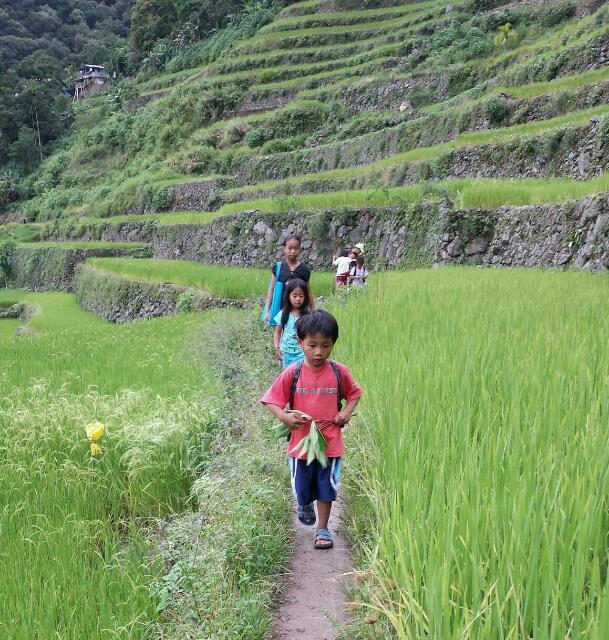 To these children, the mountain slopes, the rice paddies and the space underneath their houses are their playground. Anything found within can be their toys like cassava leaves. They may not have those toys citified children have nowadays, but it’s not an unfavorable circumstance, for when it comes to objects that are used for play, it’s the imagination that counts. If a child can create something out of anything, then this sort of learned skill is even more favorable, and that makes manufactured and assembled toys not a big deal after all.